Inglesina Trilogy is a luxury stroller with a reversible seat and easy one-hand umbrella like fold. It is designed for busy parents who live in an urban environment. Take it shopping, public transit or for a quick stroll around town while looking stylish and chic. The sealed bearing wheels are not all-terrain, but will handle some mommy terrain if you lock the front wheels. You will really like the roomy reversible seat with adjustable leg rest and one-hand lever recline. The deep recline can accommodate a child from birth and up to 55 lbs. The canopy is absolutely huge! It goes down all the way to the leg rest and has the follow-the-sun option. The large basket can fit a lot of groceries. It’s a little hard to access. It also features flip-flop friendly brake, 5 point harness, and comes with a single or double handle bars. The one-hand fold is pretty compact for a reversible seat stroller. It has also a standing fold and an automatic lock. You can convert Trilogy to a travel system by replacing the seat with a car seat, or a beautiful pram by replacing it with a bassinet. This model weighs only 21 lbs which is lightweight for a stroller with a reversible seat. I gave it 4 out of 5 stars because despite of all the great features above, it has non-adjustable handle bar, hard to access basket, high weight, and small wheels. I think it’s a great option for parents who want to buy only one stroller. You can use it with a bassinet for the first 6 months and than replace it with a reversible seat. It retails for around $499 on Amazon (free shipping/free returns and no sales tax) and comes with a cup holder, footmuff, rain cover, and a bumper bar. -Huge canopy. It has a large canopy with a medium size sunvisor that goes down all the way to the leg rest COMPLETELY shielding your child from sun, wind or rain. Also, the canopy can be unzipped in the middle to become a follow-the-sun canopy. I absolutely LOVE it! That’s how all canopies should be. It has a medium size peekaboo window which is made out of see-through plastic with no closure. I wish there is a magnetic closure, but it’s such a minor thing, I am not going to take any points away. -Handle bar. The non-adjustable handle bar is located 40″ from the ground. It’s kind of a standard height. If you are very tall, test it first. This stroller is available with a single handle or two handles. I personally prefer a single handle bar because I often have my phone or a dog leash in the other hand. -Reversible seat. The seat is 12″ wide with 18″ seat back and a measurement of 23″ from the back of the seat to the top of the canopy. This is very standard seat size that will fit a tall child. It has ONE-HAND lever recline (no annoying strap system) that goes to almost a flat position suitable for newborn. The seat can accommodate a child from birth and up to 33 lbs. To reverse the seat all you need to do is pull on the levers on both sides of the seat, wing it around and snap it back in. I has the same deep reline even in the parent-facing mode. -Bumper bar. INCLUDED! The bumper bar is swing-away and removable. It has nice cover that can be unzipped for easy cleaning. No foam! You know your child will have a bite to test the bumper bar. I hate when kids end up with a mouth full of foam. -5 point harness. It has an adjustable padded 5 point harness with not so hard to do buckle. -Adjustable leg rest. Th adjustable leg rest has two positions: up for smaller babies and down for older children. -Large basket. The basket is a good size, but is very HARD to access because of the cross bar in the back. You can fit a medium size bag in it or stuff in small baby essentials. The best way to get into the basket is from the side or front. The cross bar in the back completely blocks the access. -Flip-flop-friendly brake. The parking pedal located on the right wheel will lock both rear wheels in place. It’s flip flop friendly. -Hard rubber wheels. It rolls on four hard rubber wheels with 8″ wheels in the back and 7″ wheels in the front. That means you will never get a flat. The wheels have ball bearings making it easy to push The front wheels are 360 degree swivel wheels with the ability to lock straight for mommy terrain. I like that the locks for the wheels located ON THE SIDE of the frame so you don’t have to bend down to lock each wheel. Easy! This is a smooth surface stroller that will not do that well on rough terrain. It’s design for going shopping, graveling, or running errands around town. Not that great for long walks in the park. -One-hand fold. This model has an umbrella-like fold and can be folded with just one hand. All you need to do is push on a red safety button and then pull up on the handle located in the back above the cross bar till the stroller locks in place. There is an automatic lock. You can fold it with the seat attached or removed. Of course it will be more compact if you remove the seat first, but it’s an extra step. It does have a standing fold and if you lock the wheels, you can roll it behind you like a luggage. There is also a handle on the side for easy carrying. The fold is pretty compact for a reversible seat stroller. The folded dimensions are 14″ H x 38″ L x 19″ W, but is bulky for an umbrella model. -Bassinet option. It doesn’t come with a bassinet, but you can purchase it separately. You can replace the seat with a luxury bassinet and whola! You got a pram. No additional adapters needed. Not many strollers have that option. The bassinet has a large canopy and a pop-out sunvisor that will provide your baby with plenty of shade. It has a carrying handle that is hidden under the material on the canopy. The nice thing about this bassinet is that it’s free-standing so you can use it at home as a carrycot. -Cup holder. INCLUDED! The cup holder is located on the side above the basket, which is unique place for it. Most stroller have it on the side of the frame near the handle bar. I like the above-the-basket location because your child will not be able to see the cup. My daughter Sophia always want to take my smoothie or a shake if I put it into the cup holder. I don’t mind to share unless it’s right before the dinner time. If she doesn’t get it her way, there will be a tantrum for sure. Oh. Anyways, this cup holder is a little on the smaller size. I would say it’s designed more for a bottle. It’s expendable, but don’t expect to fit a big cup in there. -Footmuff. INCLUDED! A matching footmuff can be easily attached to the bumper bar and will protect your little one during cold winter months. -Hard to access basket. Although the basket is a good size, it’s hard to access because of the bar in the back. -Small wheels. The wheels are only 8″ and 7″ which are kind of small. Don’t expect to go for long walks. It will be a bumpy ride since the wheels are designed for mostly flat surfaces. -Non-adjustable handle bar. It’s odd, but I’ve seen some adjustable double handle bars on European Trilogy strollers. Maybe Inglesina decided to introduce only models with non-adjustable handle bar in US. I don’t know… I am a little confused. Here is a great video review from Baby Gizmo. Inglesina provides 1-year warranty from the date of purchase. Here is more information on the warranty. In US it’s available in seven colors: Jeans Fluo Ecru, Platino, Caffe, Ischia, Canapa, Jeans Fluo Navy, and Marina. Don’t ask me what colors are those. LOL. The frame is white. My favorite place to buy strollers and a lot of other baby items is Amazon. It usually has the lowest prices, free shipping, free returns and no sales tax. How great is that? You can get Inglesina Trilogy model in one of the seven beautiful colors for around $499 on Amazon (free shipping/free returns and no sales tax) without bassinet or for around $748 with a matching bassinet. It comes with a bunch of accessories like cup holder, footmuff, rain cover, and a bumper bar. 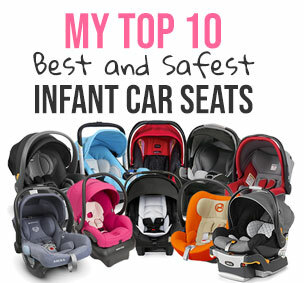 Thanks so much for your reviews–They’re so helpful for a first-time mom like me! The weight limit for the Inglesina Trilogy is listed here as 33 lbs, but it’s listed as 55 lbs on the Inglesina website. Has the company increased the weigh limit since this review? We’re looking for a reversible, lightweight, compact single stroller for everyday use from birth onwards. Specifically, I’m looking for strollers that: a) weigh under 22 lbs, b) have a full (or almost full) recline suitable for newborns, c) can be easily collapsed and carried on subways, taxis, planes and in the trunk of our small car, etc., and d) do not require a separate bassinet for newborns. I’m petite and we live in a third-floor walk-up, so the lighter and more portable/compact, the better! The Trilogy is one of several strollers we’re considering. Others are the Armadillo Flip, Flip XT and the Valco Baby Snap Ultra. What’s your recommendation between these three, and do you have any other suggestions? Also, I’ve heard mixed messages about using car seats attached to strollers for walking a newborn. Some say the upright position impedes baby’s breathing and spinal development, while others say that using placing baby directly in a fully reclined stroller seat doesn’t provide enough head and body support. Could you please weigh in? Do you recommend using the car seat attachment for long walks with the baby or should baby be flat on his or her back instead? Should we use a newborn insert (like a Snuzzler) to give baby support in any of the strollers listed above? I was wondering does the handle bar bend around when the stroller is in use? Or is it locked solid? I cant figure out if there is something wrong with the one i received or is this the correct mechanism? I can understand the the handle folding when the stroller is in the folding position, but it seems ‘foldy’ when the stroller is open as well? please let me know, I am soooo confused.